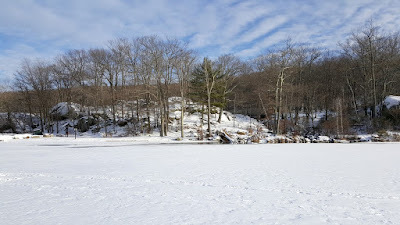 The weather had been warming up since the intense cold snap, and it was actually raining earlier in the day and the previous day. 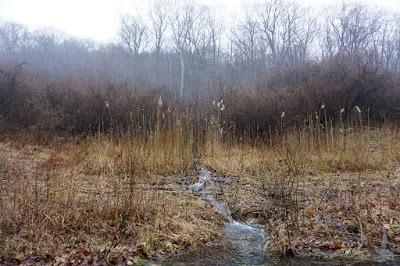 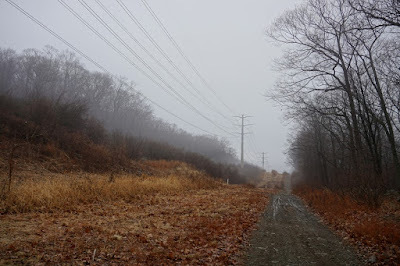 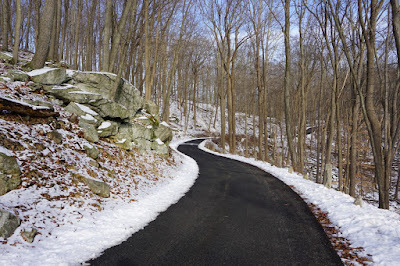 It was still wet, damp, and cloudy, and all the snow on the ground had melted from the rain and warmth. 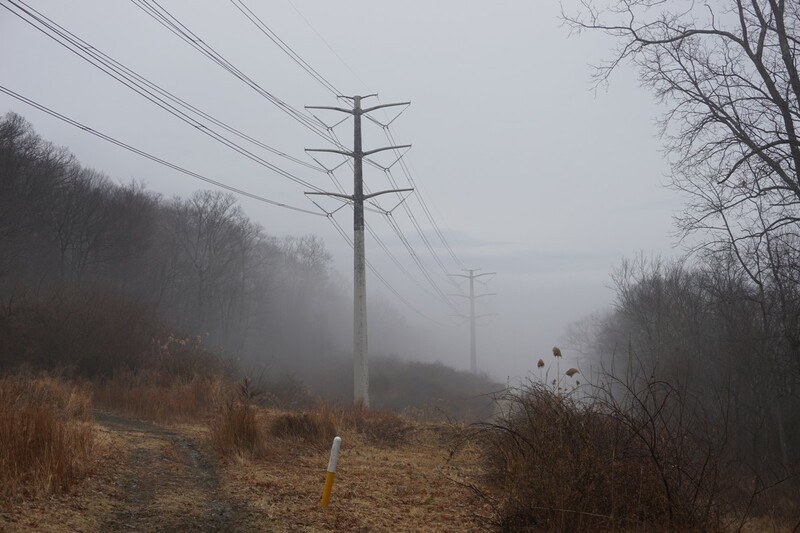 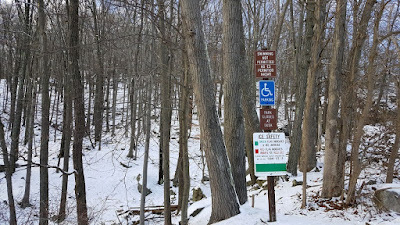 I parked at the trailhead parking for the TMI Trail, and took the trail up past the power lines, and then up the notch going up the mountain ridge. 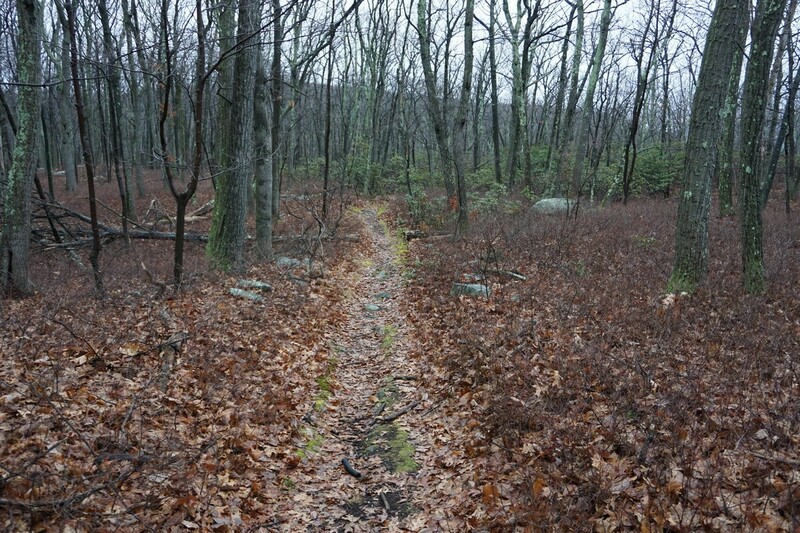 The path was very muddy and I had to precariously navigate over the many large puddles. 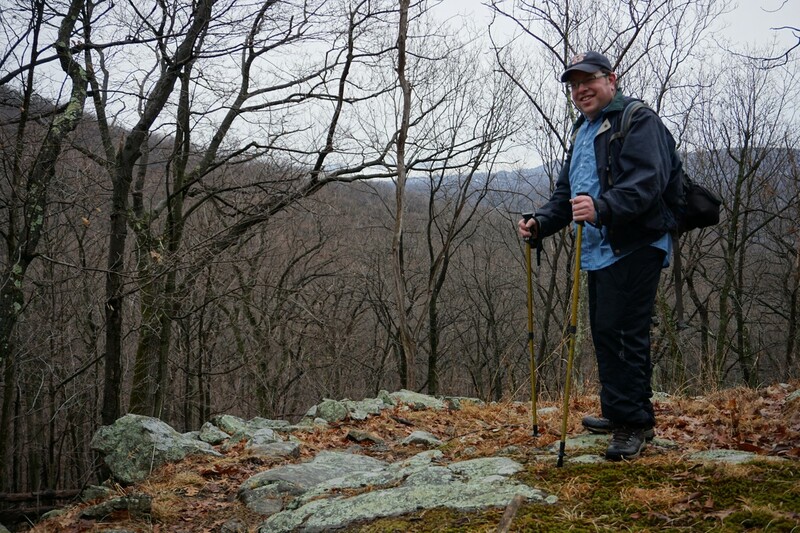 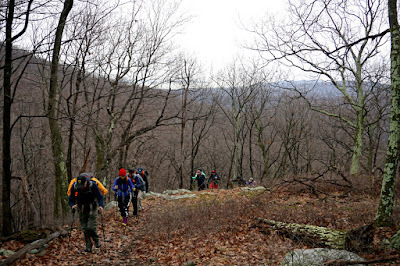 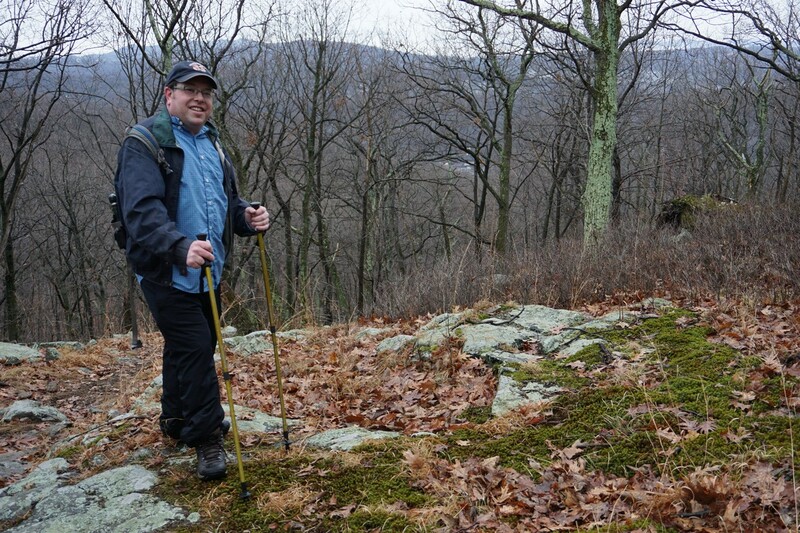 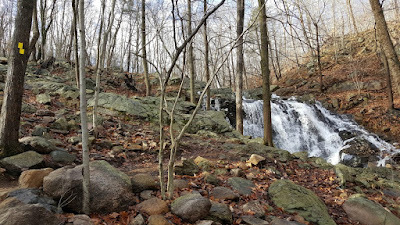 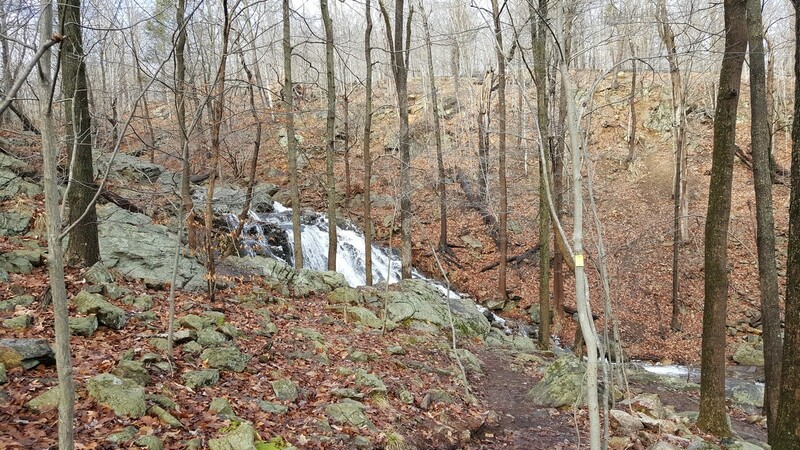 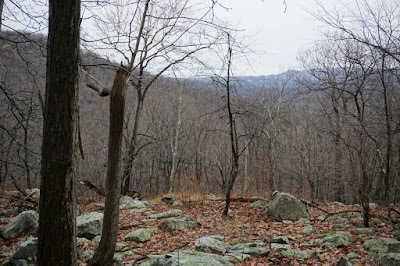 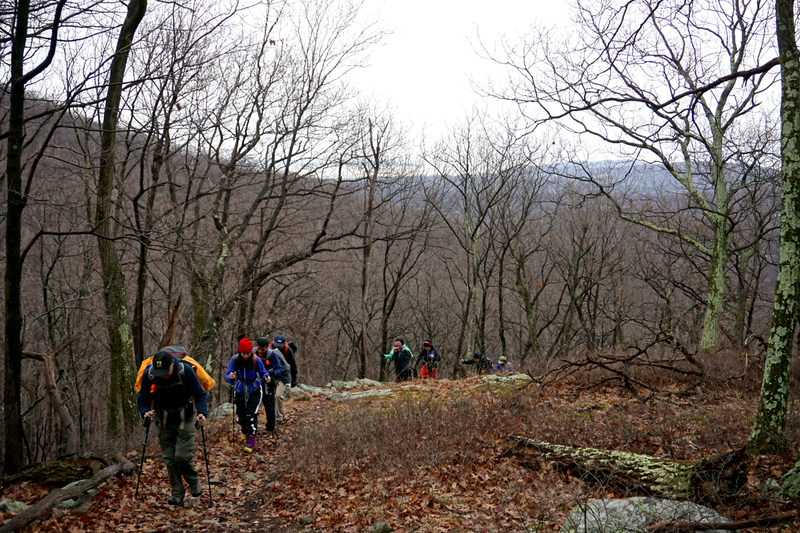 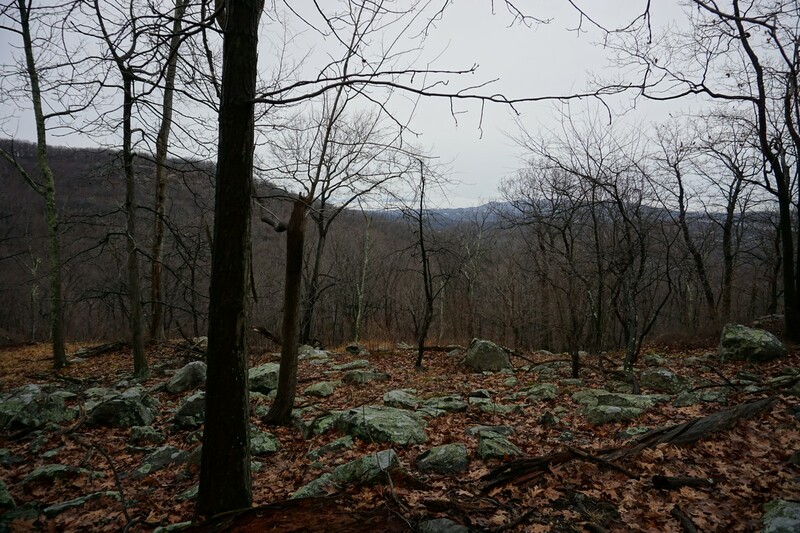 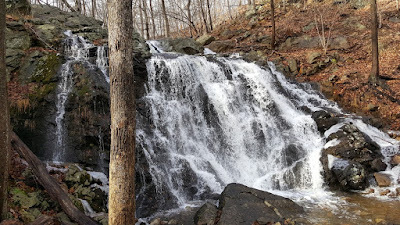 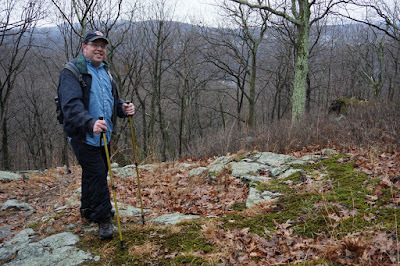 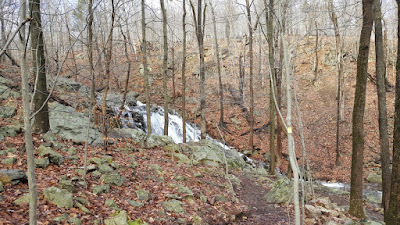 Where the TMI was rerouted on the south side of the mountain, I continued up the old trail base through the valley. 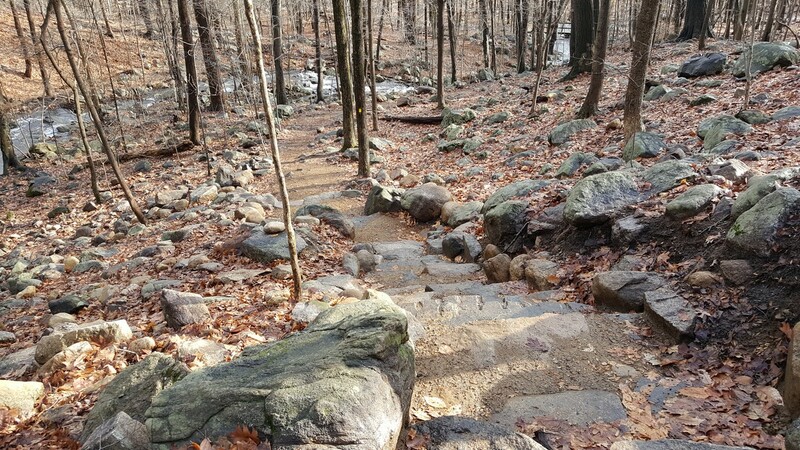 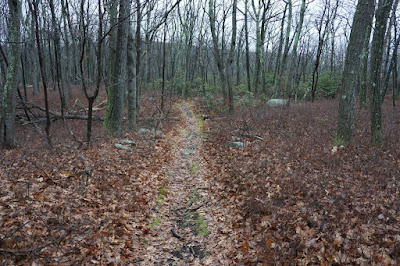 This trail had been heavily eroded, and that's why they had rerouted this trail. 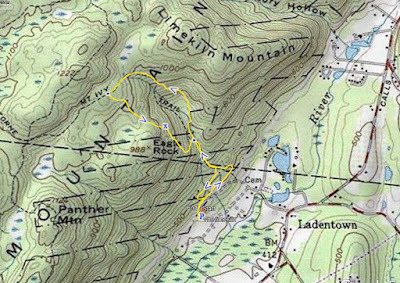 At the intersection of the Red Arrow Trail, I took the Red Arrow Trail to the current TMI Trail, which I took back down the mountain and made way back to the trailhead parking. 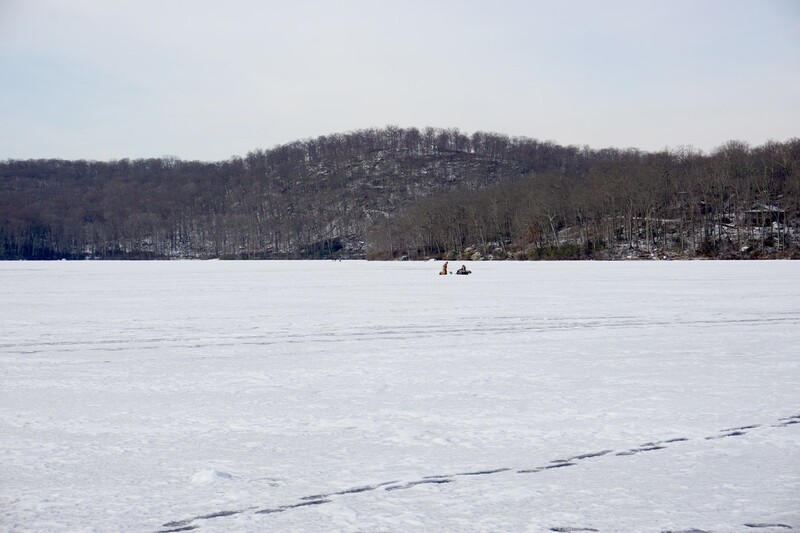 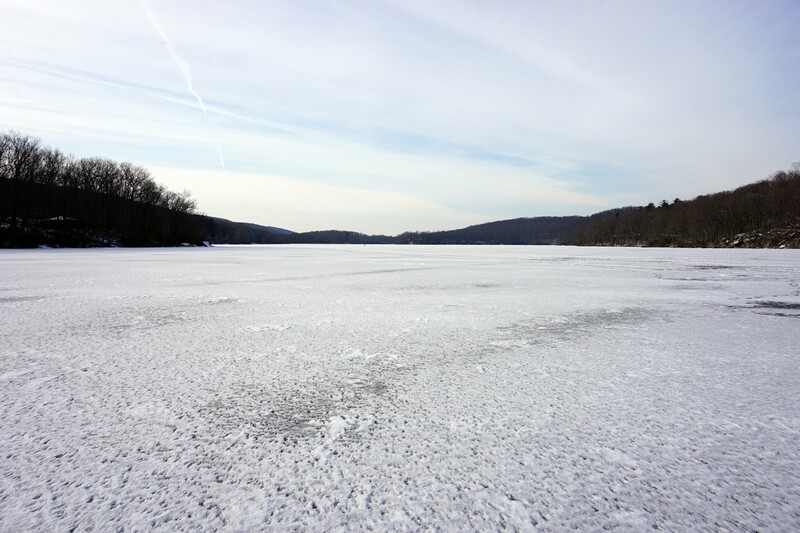 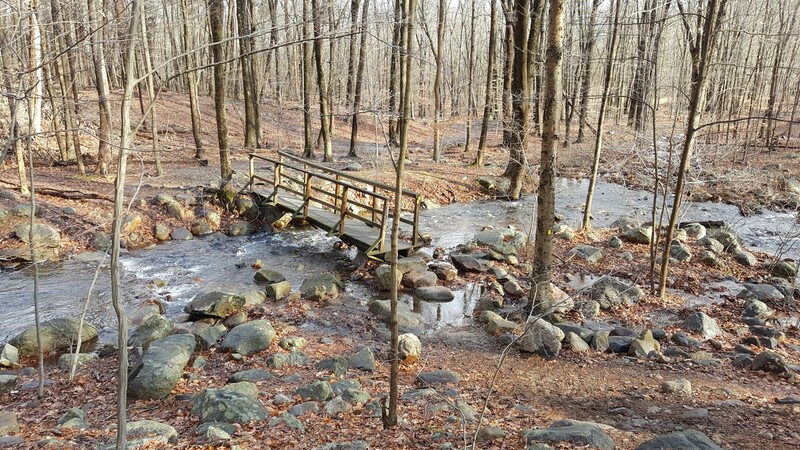 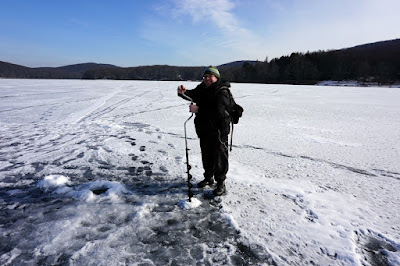 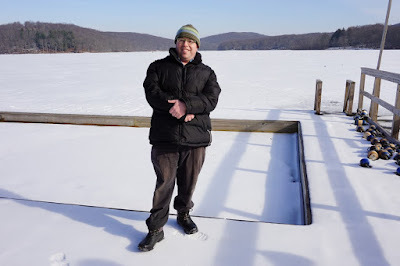 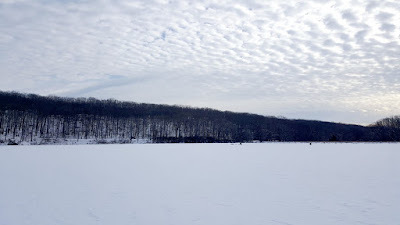 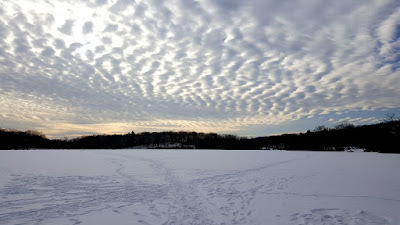 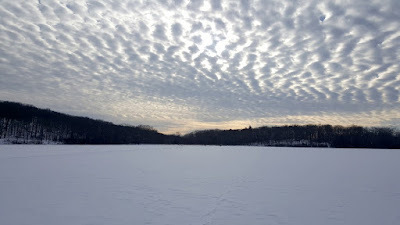 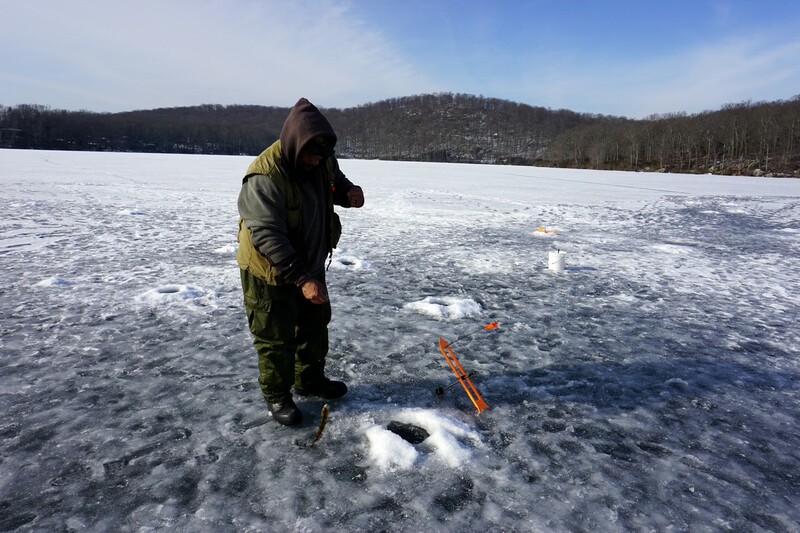 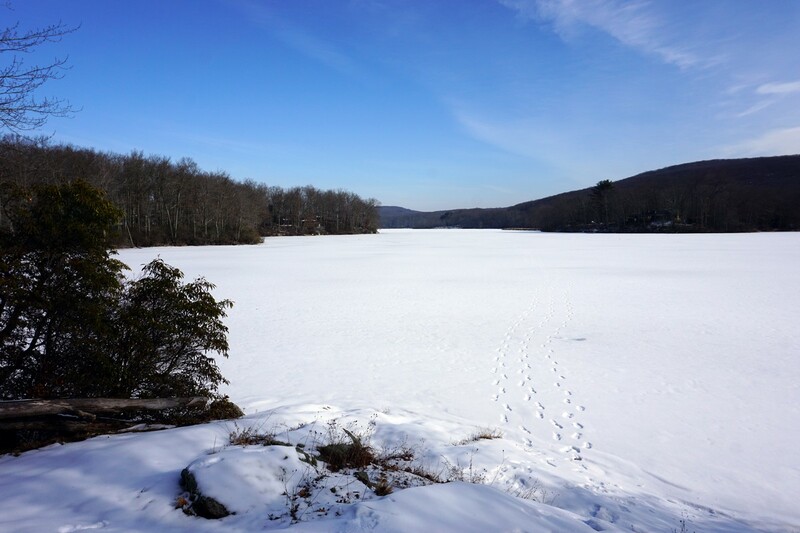 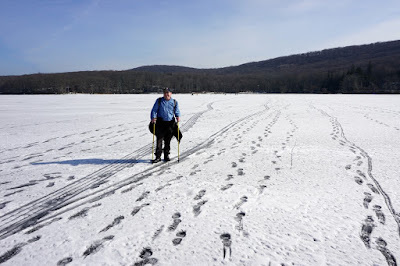 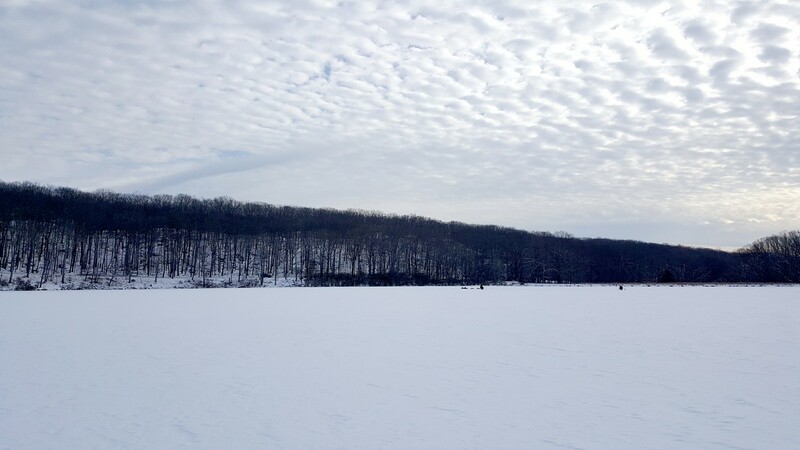 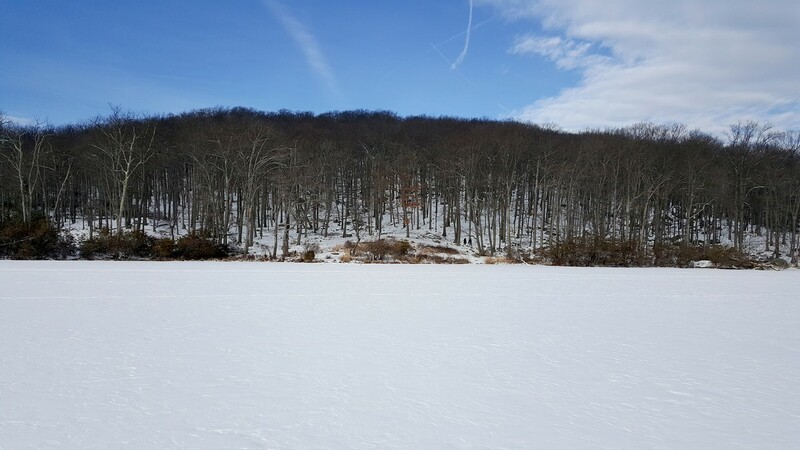 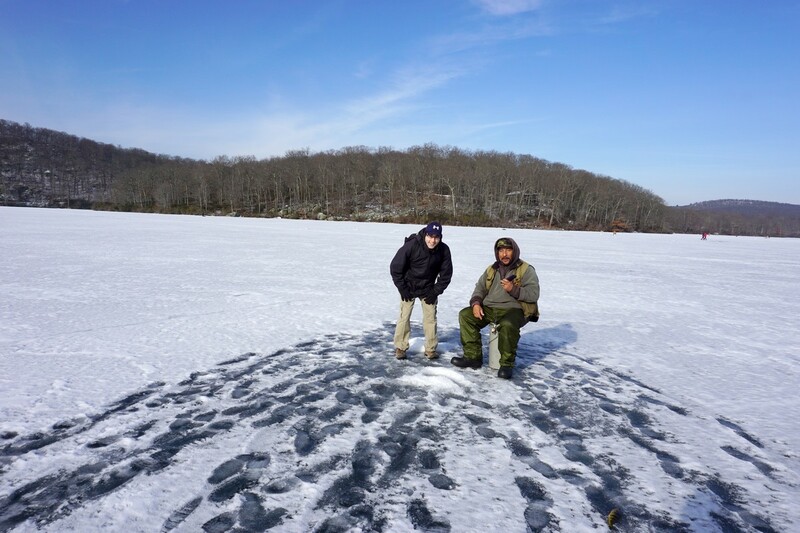 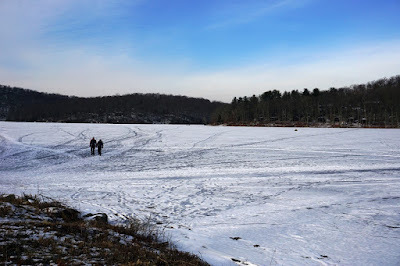 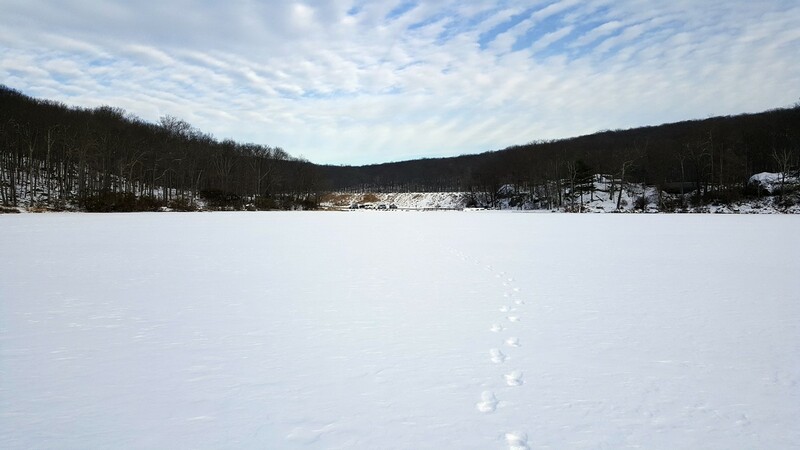 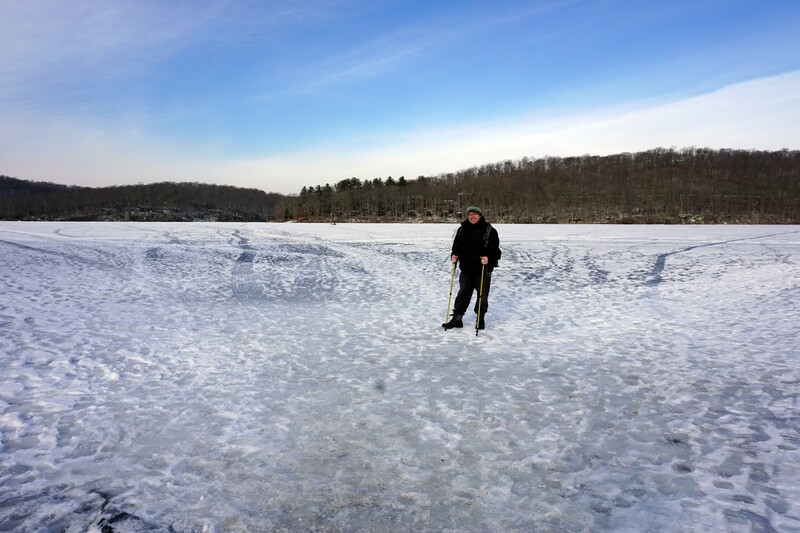 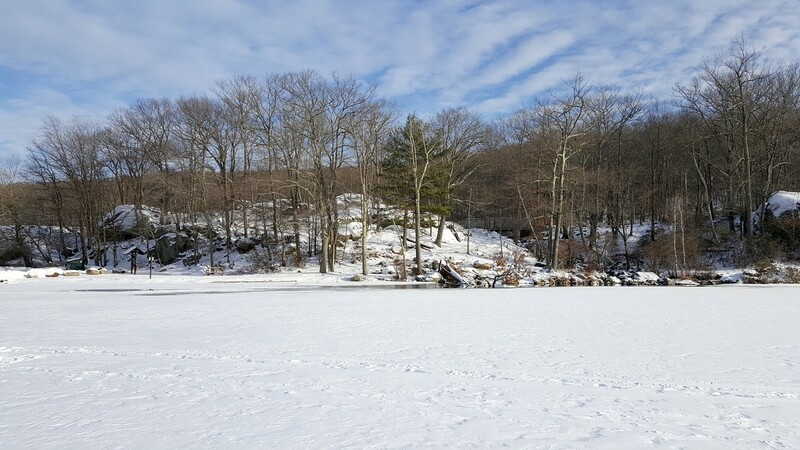 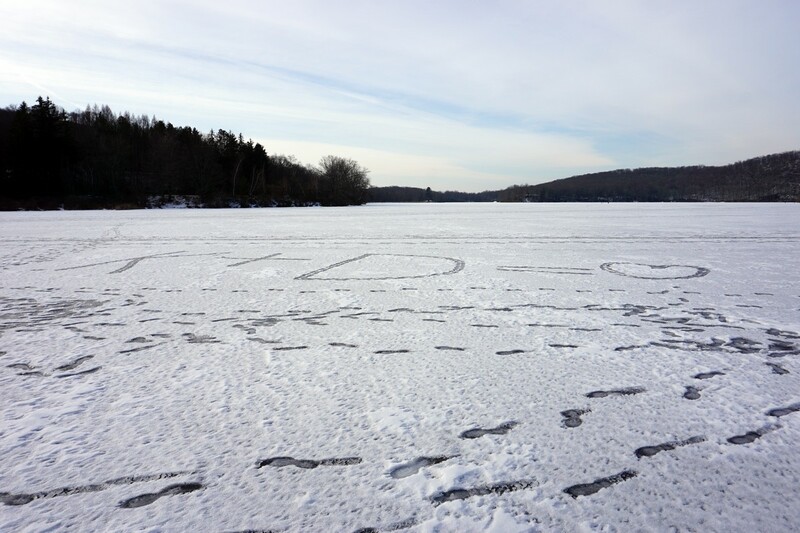 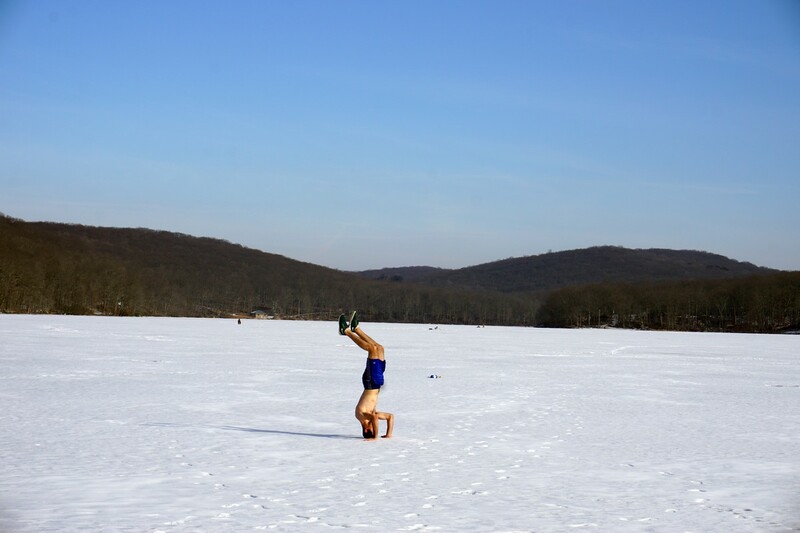 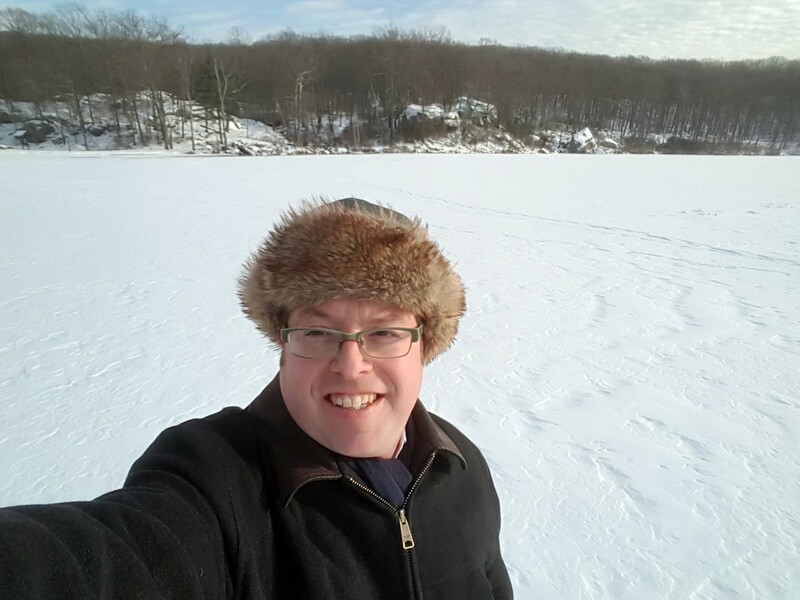 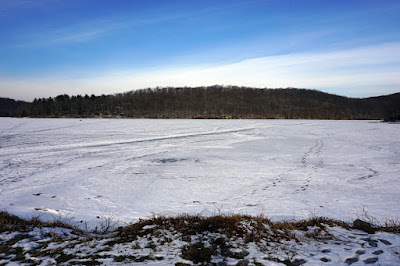 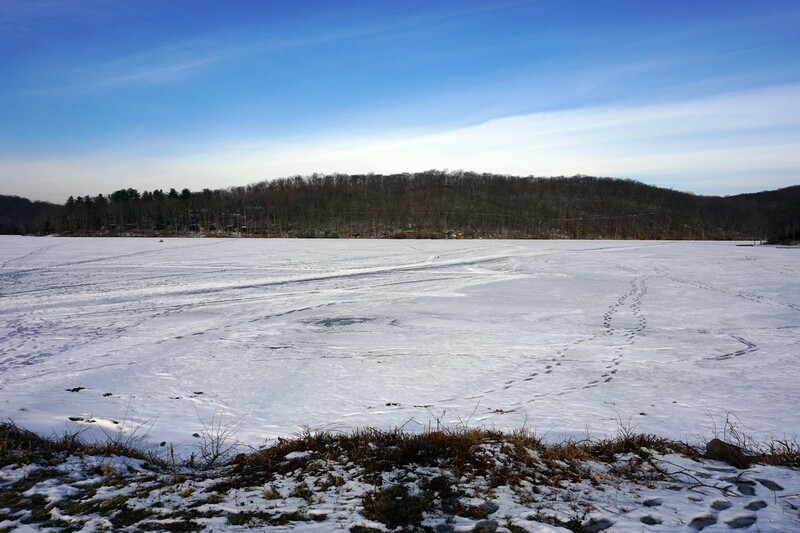 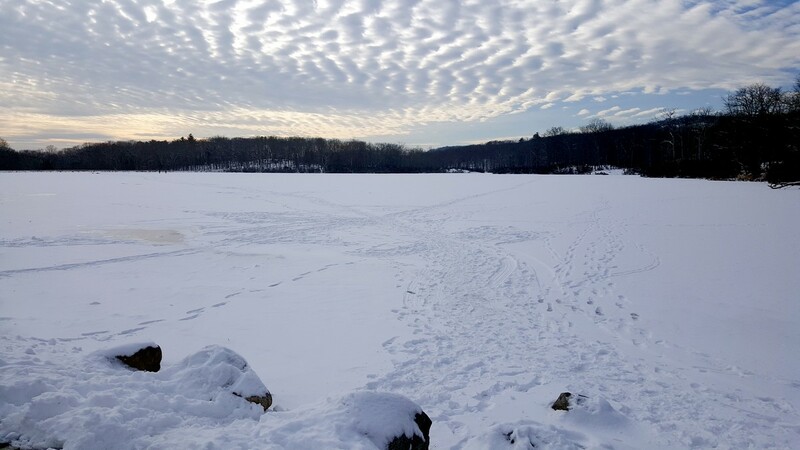 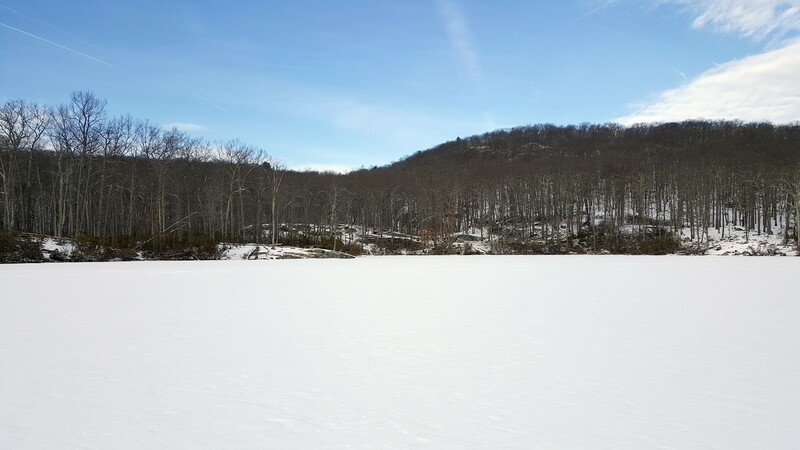 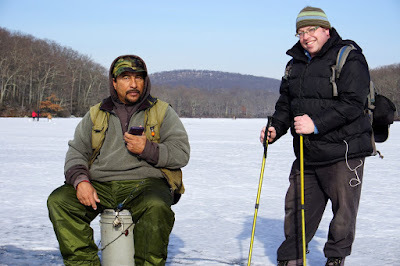 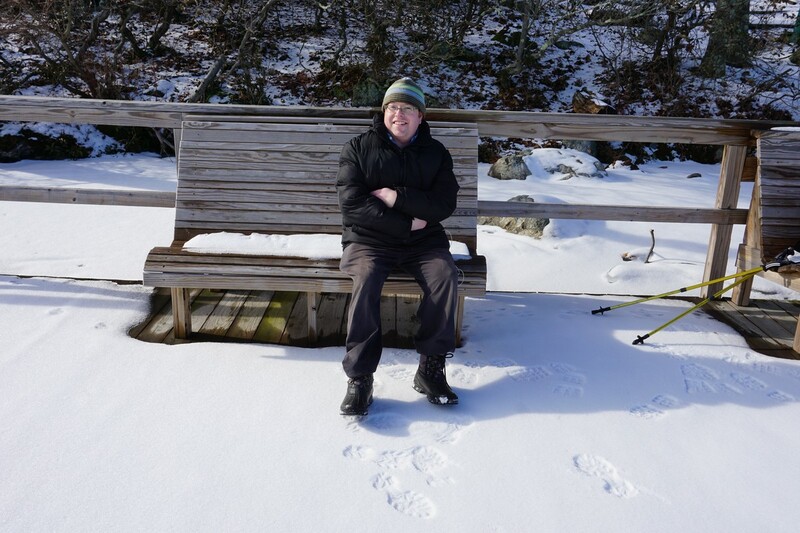 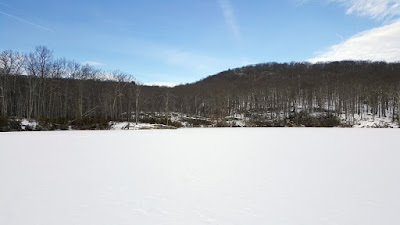 There was a major warming trend, which brought the temperatures to the mid-50's, yet the lakes in Harriman were still frozen solid despite the weather. 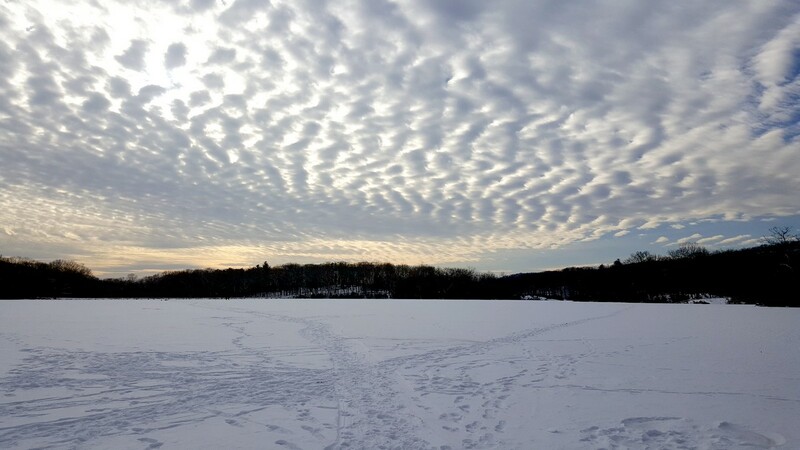 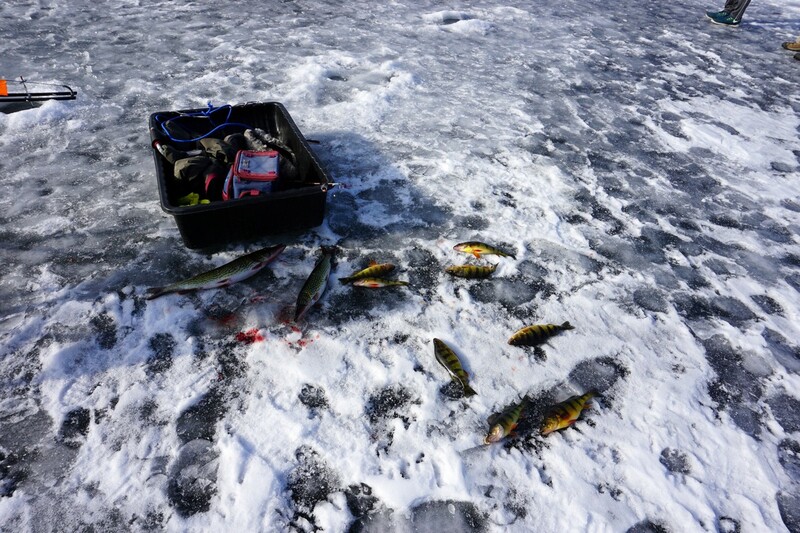 This provided an opportunity to hike on the frozen lakes in warm weather. 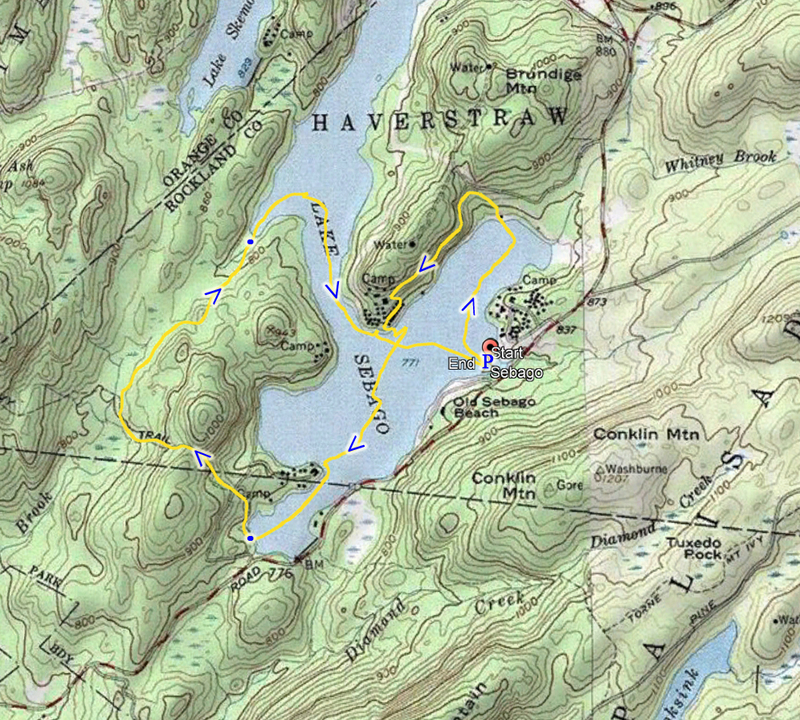 Towards the end of the hike it got so warm that I took my coat off, and I met two guy on the lake without their shirts. 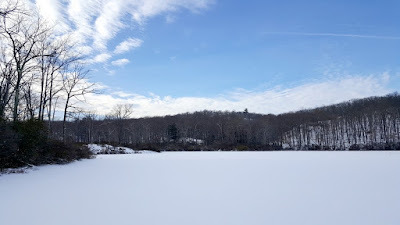 I parked at Sebago Boat Launch, and walked north to the end of the lake, and climbed up to the road leading south to the camp area. 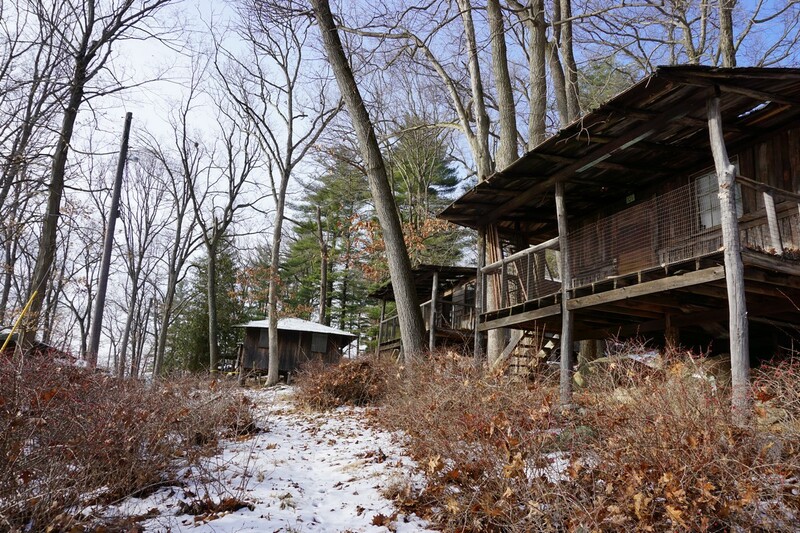 I was surprised to find all the cabins here unused and entirely abandoned. 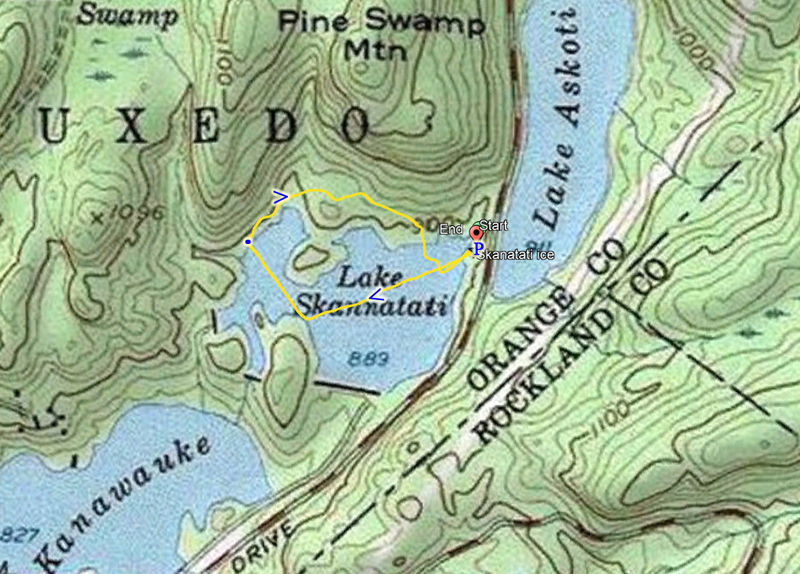 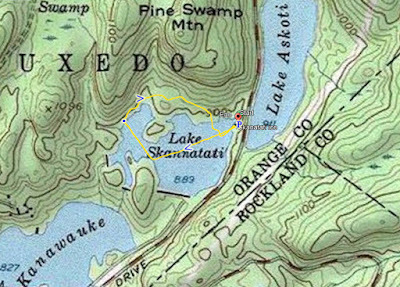 I then climbed down, with down to the southern end of the lake, and then took the Tuxedo-Mt. 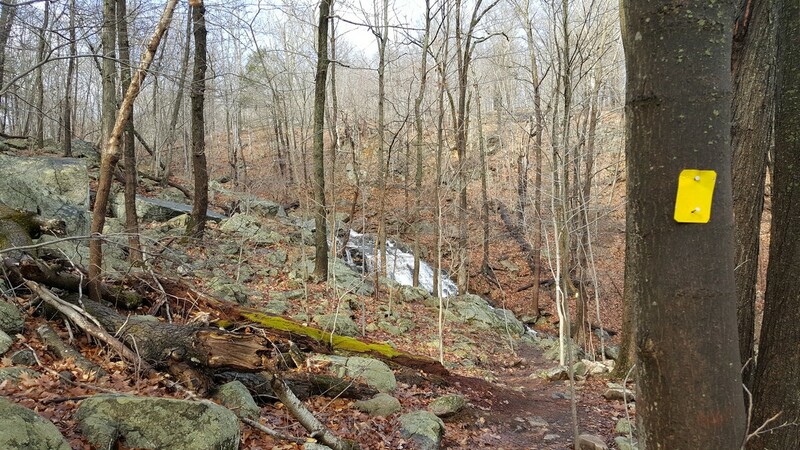 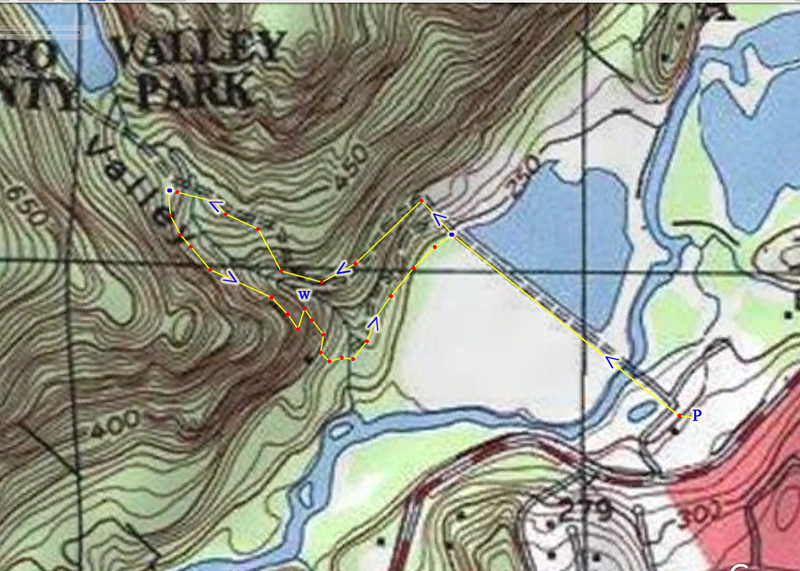 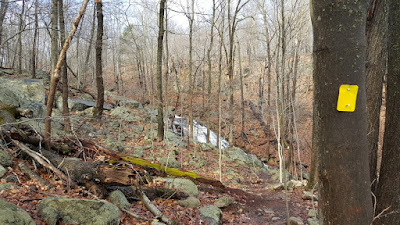 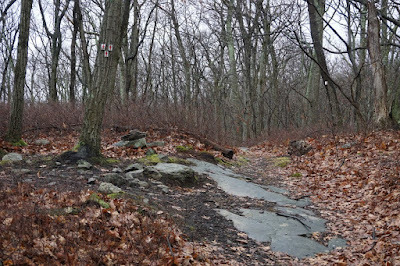 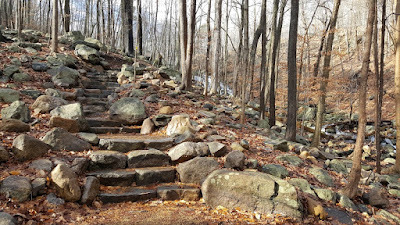 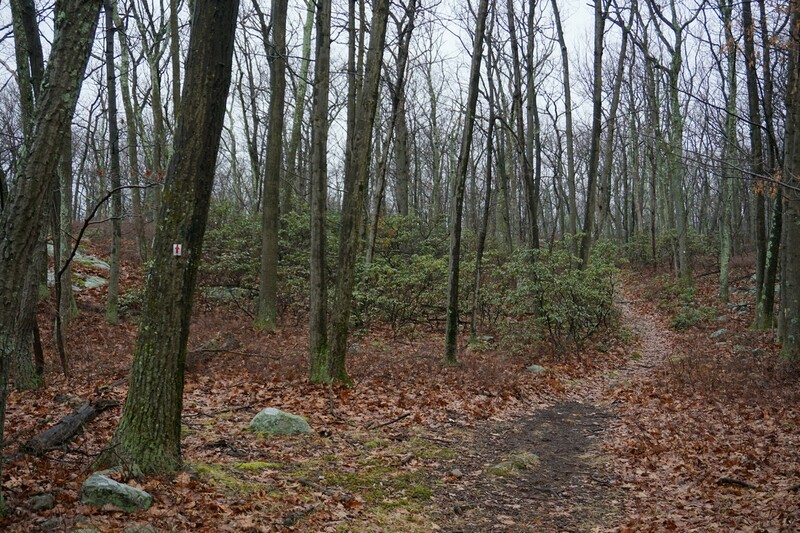 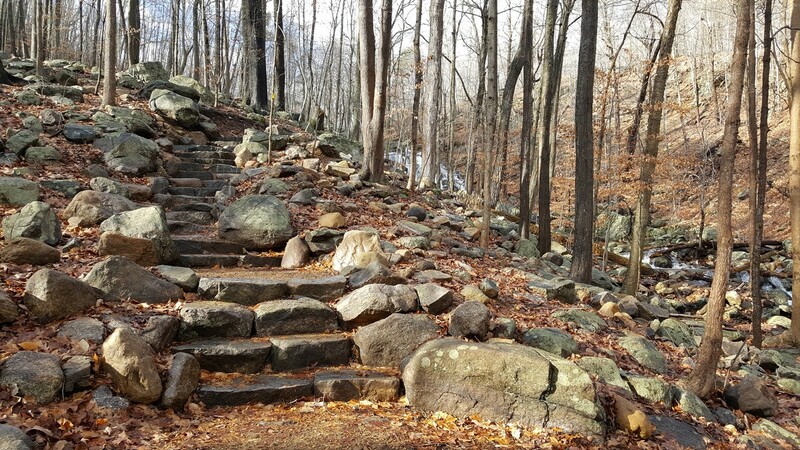 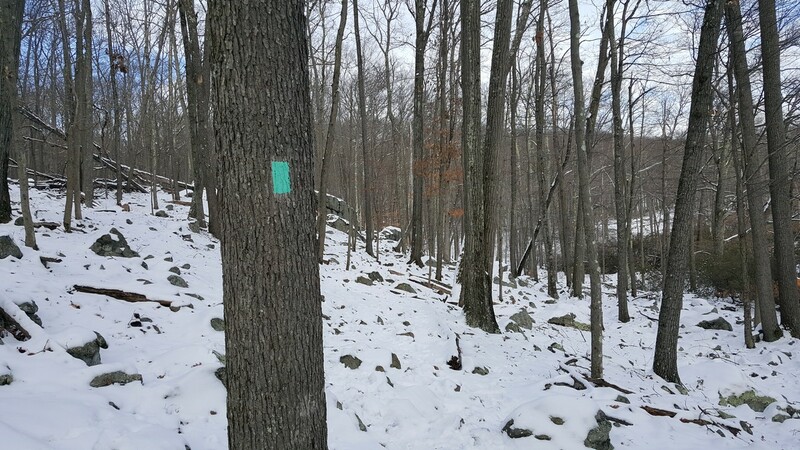 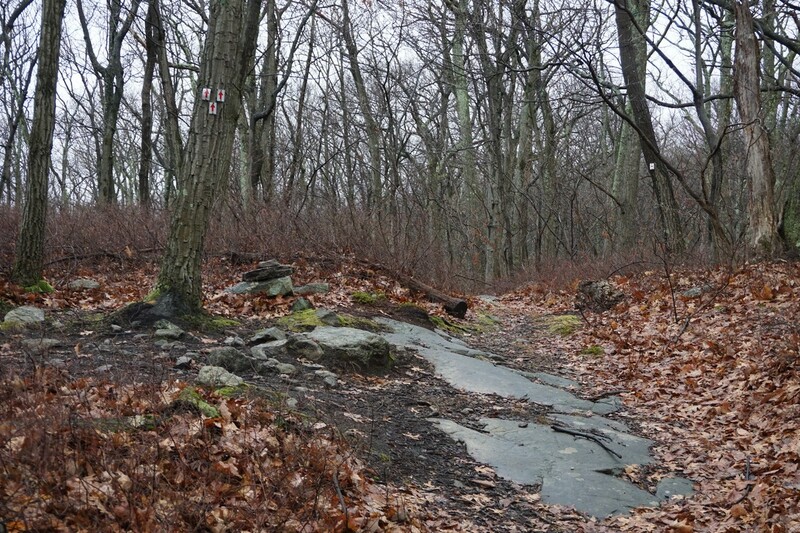 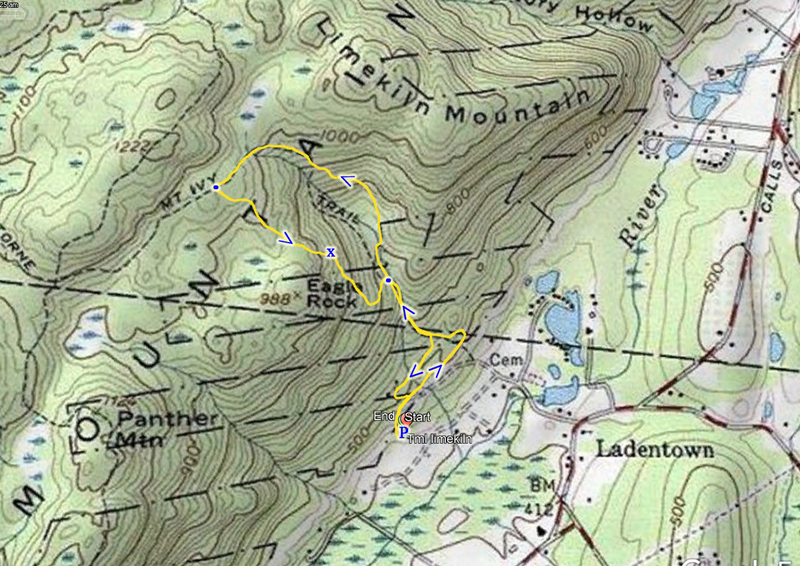 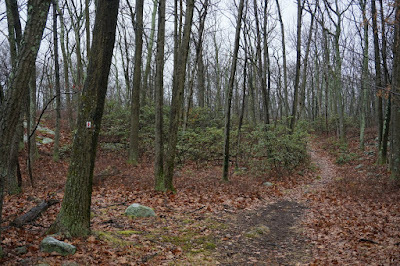 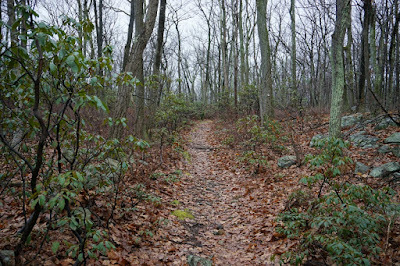 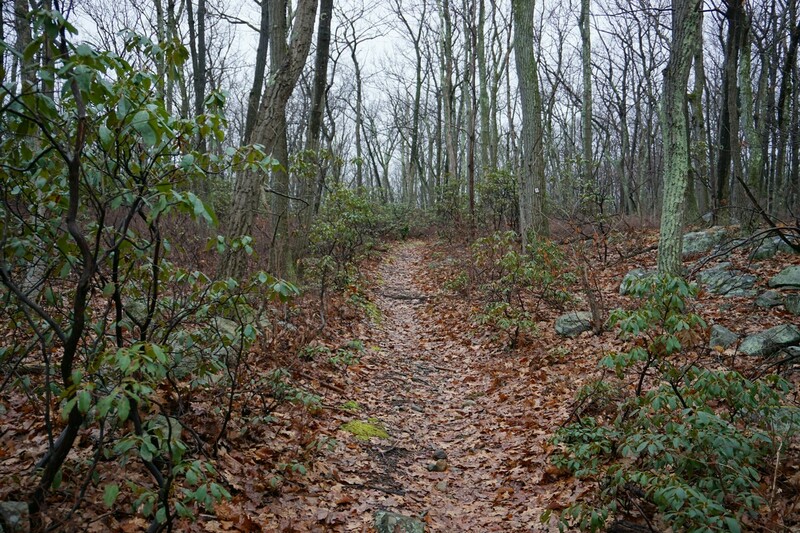 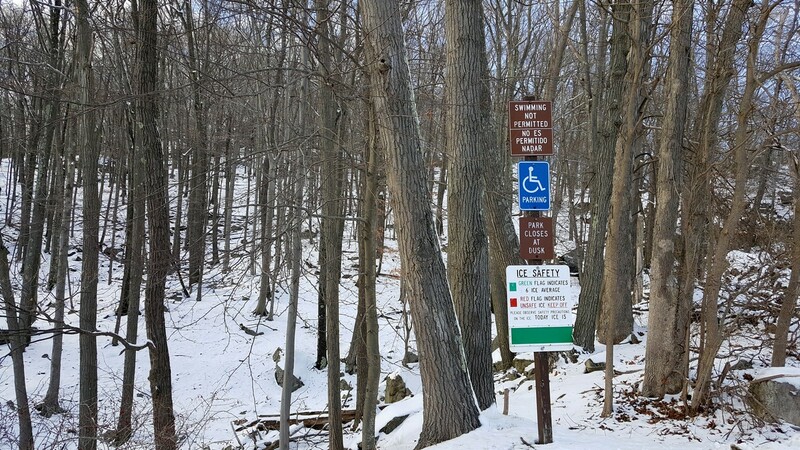 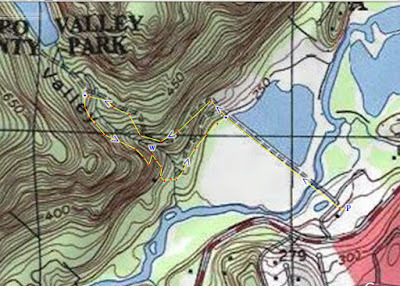 Ivy Trail, to the Triangle Trail, past the Dutch Doctor Shelter, and then to the northern spur of the lake. 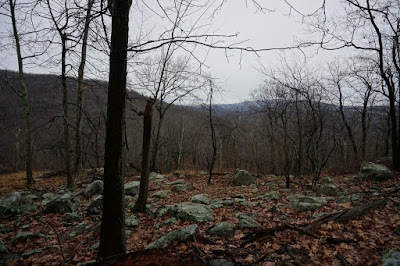 I then headed back down through the notch and then back to the parking area.